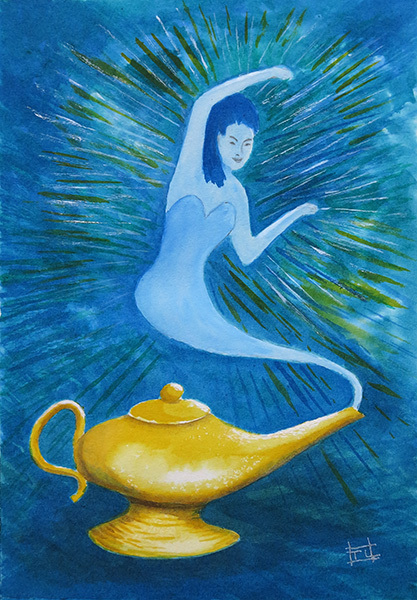 A female Genie comes out of a golden oil lamp. A semi-abstract painting in acrylic inks on Saunders Waterford 300gsm Hot Pressed watercolour paper. 10 X 7 inches. Now on sale at Art Gallery for £35 with free UK P&P.